Phenibut (β-Phenyl-γ-aminobutyric acid; brand names include Citrocard, Fenibut, Noofen, and Phenybut) is a central nervous system depressant substance that is structurally related to the inhibitory neurotransmitter gamma-aminobutyric acid (GABA). Phenibut also has structural similarities to the drugs baclofen and pregabalin. It was developed in the Soviet Union during the 1960s and has been used in Russia and Eastern European countries as a cognitive enhancer at very low doses and at moderate to higher doses to initiate sleep and relieve anxiety. The drug is not defined as a medication in other countries outside of Russia and Eastern European countries, but it is often sold on the Internet as a health aide or supplement to reduce anxiety, initiate sleep, and even as a cognitive enhancer. Phenibut is not currently regulated by the United States Drug Enforcement Administration. Using phenibut at high doses is most often associated with recreational users. There appear to be no reliable figures on the number of individuals who use and abuse phenibut in the United States. It is easily available over the Internet. Disadvantages appear to be its potential to result in extreme lethargy following use of the drug at even moderate doses, its potential for abuse, and its potential for the development of physical dependence. Tolerance to phenibut appears to develop rapidly based on the few case studies in the literature and on anecdotal reports online. 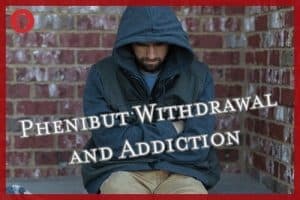 Most of the information about the withdrawal symptoms associated with discontinuing phenibut comes from anecdotal reports on the Internet. There is a case study reported in 2013 from the British Medical Journal that documented a formal withdrawal management program for phenibut. A relatively quick onset may occur within 4-6 hours after discontinuation. Phenibut appears to have a half-life of about five hours. A varied symptom profile that can include numerous symptoms, some of which appear to be potentially dangerous. A relatively long course that can last 2-4 weeks. There is no formal withdrawal management protocol for addressing individuals who have abused phenibut. In the above cited case study reported in the British Medical Journal, the approach to withdrawal management (medical detox) was to administer the drug baclofen on a tapering schedule to help the individual withdraw from phenibut. Baclofen was administered with a tapering dose of phenibut over the first nine weeks, and baclofen was then administered alone on a tapering schedule for an additional 12 weeks. This strategy was successful but complicated. Relatively high amounts of baclofen were required; the dosage suggested in the article is 10 mg of baclofen for every gram of phenibut that was normally used by the person. In addition, it should be noted that this individual had abused multiple drugs, including alcohol, benzodiazepines, and kratom, a stimulant drug of abuse, along with phenibut at the time of his treatment. He also had a complicated psychiatric history that appears to include significant issues with depression and anxiety. A case study reported in 2012 in the Journal of Substance Abuse documented the case of an individual who was undergoing a withdrawal syndrome from phenibut and developed psychotic symptoms (hallucinations and delusions). The case study reported that it appeared that in this instance at least, withdrawal from phenibut was similar to the withdrawal syndrome that is associated with benzodiazepines and alcohol. Benzodiazepines were administered on a tapering schedule to assist this individual. 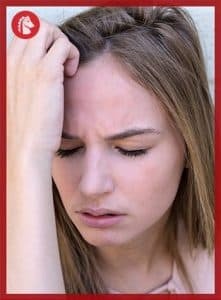 Because most of the information regarding withdrawal from phenibut is based on a very small number of case studies and anecdotal evidence from individuals who are self- reporting on the Internet, it is unclear at this time whether the withdrawal syndrome associated with phenibut might result in potentially fatal seizures. For this reason, anyone using phenibut should consult with a physician before they decide to lower the dose of the substance they are taking or wish to stop using the substance altogether. In addition, individuals seeking to reduce anxiety, initiate sleep, etc., would be advised not to use phenibut as a substance to assist them. Instead, consulting with a licensed mental health clinician, such as a psychiatrist or other physician, is more appropriate. There are few regulations applied to products that are not subject to scrutiny by the Food and Drug Administration (FDA), such as vitamin supplements, herbal remedies, etc. In addition, there are no controls over the amounts of the supplements that individuals can purchase. Given that tolerance develops rapidly to phenibut, individuals who purchase the substance and use it as a cognitive enhancer, as a sleep aid, or to reduce anxiety are particularly prone to abusing it. Typically, a person displaying two or more of these above signs and symptoms would be suspected of having a substance use disorder. The formal diagnosis of any substance use disorder can only be made by a licensed mental health clinician. Likewise, the formal treatment of any substance use disorder should also only be undertaken by a licensed mental health clinician or a team of clinicians. Even though the development of tolerance and withdrawal symptoms are associated with the diagnosis of a substance use disorder, simply undergoing the withdrawal process either by utilizing a cold-turkey approach or undergoing a professional physician-assisted withdrawal management program is not a sufficient program of recovery. Instead, individuals with substance use disorders need to become involved in long-term treatment programs once they complete the medical detox process. These programs should include some form of substance use disorder therapy (in groups or individual sessions), social support (preferably from family and friends), participation in peer support groups, medical management as needed, and other interventions as identified by an initial assessment performed by mental health clinicians. Recovery from any substance use disorder requires years of involvement in treatment, years of established abstinence, support, and numerous ups and downs that may include problems with relapse, recovery, and recommitment. Individuals in treatment who view potential relapses as opportunities to learn, strengthen their program of recovery, and move forward are more likely to experience successful long-term recovery than individuals who view of relapse as a failure.